Have had loads of survey requests through already off the back of our eshot. We know that Public Sector Executive is one of most trustd titles read by publiec sector leaders in the UK, so we are delighted to partner with them as the exclusive media partner on our annual public sector conference. Thank you for the email e-shot you sent for us, we saw an increase of over 200 per cent in the number of visits to our webpage as a result. Because it was so successful we are planning more with PSE again this year. We worked with PSE for the first time this year as we were hosting an event tailored for the public sector. PSE helped broaden our reach to public sector contacts that we couldn’t otherwise reach. We hosted a two week survey and commissioned them to send a solus e-shot of our event invitation to their public sector database. They were persistent with their comms on social media as well as promoting our survey on their website and within their e-newsletters. Adam in particular was extremely helpful throughout the process, not only offering support with the survey and invitation by providing regular updates but also by offering valuable insight and advice on how best to target the public sector, I feel he went above and beyond his job role in this respect. We’ve been working with Adam and Public Sector Executive since 2011 via Solus e-mail marketing which has always contributed in the continued growth of the event year on year, last year PSE assisted us in achieving over 140% increase in Public Sector attendance at Call Centre Expo 2013. They offer excellent value and are professional, friendly and a pleasure to deal with which makes the whole process even better. I look forward to working with PSE and Adam for years to come! As a long standing client of Cognitive Publishing and PSE I have always been impressed with the extensive range of available options and the consistent level of quality and professionalism. What I am particularly impressed with, is that PSE take time to work with clients to ensure the most appropriate and most cost effective solution. We were very pleased with the outcome of our roundtable and we would have no hesitation in working with PSE again. It gave us good insight into the views of customers and stakeholders, and stimulated the debate around how the market could operate in future. PSE was easy to work with, keeping us informed and offering advice and support throughout. Their network of contacts came in useful and everything ran seamlessly on the day. The coverage of the event was balanced and informative, helping to raise the profile of the forthcoming changes to the water industry. We had a positive response from participants too, so all in all it was a great success. 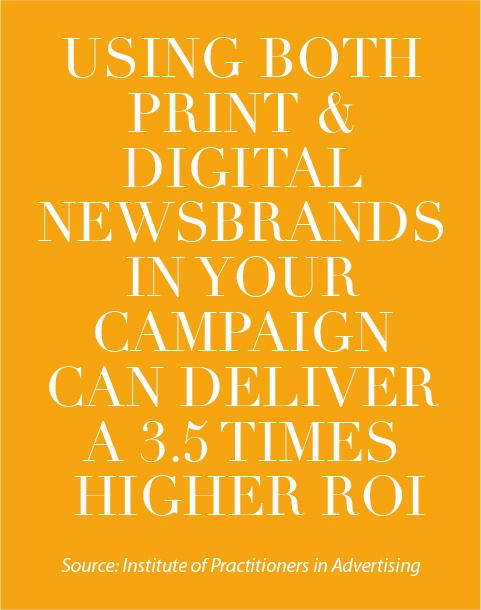 The advertorial placement we ran with PSE was the most effective of our recent digital marketing campaign, proving that we were reaching the right audience. I’d be happy to work with them again. PSE was the best performer on the plan we recently ran for Dell. In both digital display and eshots, PSE performance was way above industry benchmarks. Due to the current climate we have had to scrutinise and justify where our marketing budget is spent. We need to be seen in the right places to the right circulation. Adam Busby from Public Sector Executive magazine worked with us and created a special package within our budget means. Our advertising is seen by the right audiences, which is ABC audited and we have seen an increase in our web traffic from their website. We have already received a lot of interest from new clients who are looking to use our services in their area from having our first case study editorial in the PSE. The editorial and design teams are helpful and respond quickly to any questions or requests, so the whole experience of working with PSE was really positive. Public Sector Executive is a well-produced, enlightening publication of quality packed with attention-grabbing articles, evaluations and interviews. We recommend PSE to our clients as we consider it to be an essential tool for promotion, raising awareness and informing public sector management. The article is producing a very good response from a variety of people. The article I submitted from Northants County Council gained an overwhelming response, to the extent that I obtained a promotion at Solihull. The whole process worked really well indeed and we will use PSE again in the future. It’s good to work with someone who recognises opportunities for clients. I found the interview with PSE extremely professional and efficient. Advertising in PSE was a worthwhile exercise. I find PSE useful and interesting. I love this publication and am proud to be associated with it.